Oxidative stress represents an imbalance between the systemic manifestation of reactive oxygen species and a biological system's ability to readily detoxify the reactive intermediates or to repair the resulting damage. Disturbances in the normal redox state of cells can cause toxic effects through the production of peroxides and free radicals that damage all components of the cell, including proteins, lipids, and DNA. Further, some reactive oxidative species act as cellular messengers in redox signaling. Thus, oxidative stress can cause disruptions in normal mechanisms of cellular signaling. In humans, oxidative stress is thought to be involved in the development of many diseases or may exacerbate their symptoms. These include cancer, Parkinson's disease, Alzheimer's disease, atherosclerosis, heart failure, myocardial infarction, Schizophrenia; Bipolar disorder, fragile X syndrome, Sickle Cell Disease, and chronic fatigue syndrome. However, reactive oxygen species can be beneficial, as they are used by the immune system as a way to attack and kill pathogens. Short-term oxidative stress may also be important in prevention of aging by induction of a process named mitohormesis. People with Down syndrome, develop a syndrome of dementia that has the same characteristics of Alzheimer’s disease that occurs in individuals without Down syndrome. The only difference is that Alzheimer’s disease occurs much earlier in people with Down syndrome; patients with Down syndrome begin to have symptoms in their late 40s or early 50s. Most (and maybe all) people with Down syndrome develop the brain changes associated with Alzheimer’s disease. However, Alzheimer’s disease is not more common in individuals with intellectual disabilities from causes other than Down syndrome. An estimated 10%-25% of patients with Down syndrome have Alzheimer’s disease at age 40-49 years, 20%-50% have Alzheimer’s disease at age 50-59 years, and 60%-75% have Alzheimer’s disease when older than 60 years of age. Alzheimer’s disease decreases survival in people with Down syndrome who are older than 45 years of age. Increased conditions of oxidative stress are caused by the overexpression of some of the genes encoded by Chr21. Among these, amyloid precursor protein (APP), copper-zinc superoxide dismutase (SOD1), and beta secretase (BACE2) can directly or indirectly lead to OS. Putative adaptation to OS in down syndrome. OS occurs early in DS pathogenesis and progression. Accumulation of oxidative damage leads to severe phenotypes while the induction of compensatory mechanisms in response to chronic OS could result in “adaptation” and could contribute to improve the life span of DS subjects. 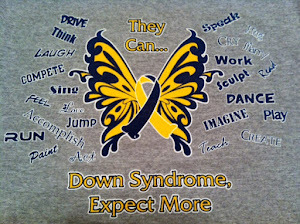 Down syndrome (DS) is one of the most frequent genetic abnormalities characterized by multiple pathological phenotypes. Indeed, currently life expectancy and quality of life for DS patients have improved, although with increasing age pathological dysfunctions are exacerbated and intellectual disability may lead to the development of Alzheimer’s type dementia (AD). The neuropathology of DS is complex and includes the development of AD by middle age, altered free radical metabolism, and impaired mitochondrial function, both of which contribute to neuronal degeneration. Understanding the molecular basis that drives the development of AD is an intense field of research. Laboratories are interested in understanding the role of oxidative stress as link between DS and AD. Current literature shows oxidative damage in DS by identifying putative molecular pathways that play a central role in the neurodegenerative processes. In addition, considering the role of mitochondrial dysfunction in neurodegenerative phenomena, results demonstrating the involvement of impaired mitochondria in DS pathology could contribute a direct link between normal aging and development of AD-like dementia in DS patients. Oxidation" is the chemist's term for the process of removing electrons from an atom or molecule. The result of this change can be destructive - rusting iron is a familiar result of oxidation. Here, oxygen is the responsible agent, but other oxidizing agents, such as chlorine, can be as harsh. Although we need oxygen to live, high concentrations of it are actually corrosive and toxic. We obtain energy by burning fuel with oxygen - that is, by combining digested food with oxygen from the air we breathe. This is a controlled metabolic process that, unfortunately, also generates dangerous byproducts. These include free radicals - electronically unstable atoms or molecules capable of stripping electrons from any other molecules they meet in an effort to achieve stability. In their wake they create even more unstable molecules that then attack their neighbors in domino-like chain reactions. By the time a free radical chain fizzles out, it may have ripped through vital components of cells like a tornado, causing extensive damage, similar to that caused by ionizing radiation. Oxidative stress is the total burden placed on organisms by the constant production of free radicals in the normal course of metabolism plus whatever other pressures the environment brings to bear (natural and artificial radiation, toxins in air, food and water; and miscellaneous sources of oxidizing activity, such as tobacco smoke). Our bodies aren't helpless in the face of these assaults. We have defenses against oxidative stress in the form of physical barriers to contain free radicals at their sites of production within cells; enzymes that neutralize dangerously reactive forms of oxygen; substances in our diets (such as vitamin C and vitamin E) that can "quench" free radicals by donating electrons to them and cutting off the chain reactions early in their course; repair mechanisms to take care of oxidative damage to DNA, proteins and membranes; and complex stress responses that include programmed cell suicide if damage is too great. A good case can be made for the notion that health depends on a balance between oxidative stress and antioxidant defenses. Aging and age-related diseases reflect the inability of our antioxidant defenses to cope with oxidative stress over time. The good news is that with strong antioxidant defenses, long life without disease should be possible. Studies have shown that antioxidants supplements do not replicate the action of antioxidants from food. More research is needed before, say, Vitamin C supplements can be advised to prevent cancer. Vitamins: vitamin E, vitamin C and beta carotene. Trace elements that are components of antioxidant enzymes, such as selenium, copper, zinc and manganese. Non-nutrients such as ubiquinone (coenzyme Q) and phenolic compounds, such as phytoestrogens, flavonoids, phenolic acids and butylated hydroxytoluene (BHT), which is used as a food preservative. Tomatoes contain a pigment called lycopene that is responsible for their red colour but is also a powerful antioxidant. Tomatoes in all their forms are a major source of lycopene, including tomato products like canned tomatoes, tomato soup, tomato juice and even ketchup. Lycopene is also highly concentrated in watermelon. Oranges, grapefruit, lemons and limes possess many natural substances that appear to be important in disease protection, such as carotenoids, flavonoids, terpenes, limonoids and coumarins. Together these phytochemicals act more powerfully than if they were given separately. It's always better to eat the fruit whole in its natural form, because some of the potency is lost when the juice is extracted. Black tea, green tea and oolong teas have antioxidant properties. All three varieties come from the plant Camellia sinenis. Common brands of black tea do contain antioxidants, but by far the most potent source is green tea (jasmine tea) which contains the antioxidant catechin. Black tea has only 10 per cent as many antioxidants as green tea. Oolong tea has 40 per cent as many antioxidants as green tea. This because some of the catechins are destroyed when green tea is processed (baked and fermented) to make black tea. Beta-carotene is an orange pigment that was isolated from carrots 150 years ago. It is found concentrated in deep orange and green vegetables (the green chlorophyll covers up the orange pigment). Beta-carotene is an antioxidant that has been much discussed in connection with lung cancer rates. The evidence is conflicting, with one study showing an increase in risk, but further research is being done to see if it has a protective effect. After speaking to a DAN doctor with Arkansas Children's Hospital I will follow Emmalin's antioxidant levels through urinalysis. Currently there are people with ACH working on oxidated stress in the autism community but not in the Down syndrome community. I strongly encourage you to speak to your PCP and genetic doctors regarding OS and the use of antioxidants with your little one. New research from ACH autism clinic. It relates both genetic and environment influences to autism, which in turn causing mitochondrial dysfunction. Therefore, the body can not respond to oxidative stress as it should. This is why we do not have chemicals in our home for cleaning, washing, (everything non toxic or homemade) ...and why it is so important for children to have a healthy diet. If you can not control the body's reaction to oxidative stress, then controlling what contributes to the stress will help. We also supplement with additional antioxidants in our vitamins, as well as using black cherry juice, goji berries and many other things that are naturally high in antioxidants. Organic foods when possible decrease exposures to many chemicals. There are so many things you can do to help your children by implementing changes now to strengthen their immune system and decrease unnecessary exposures.